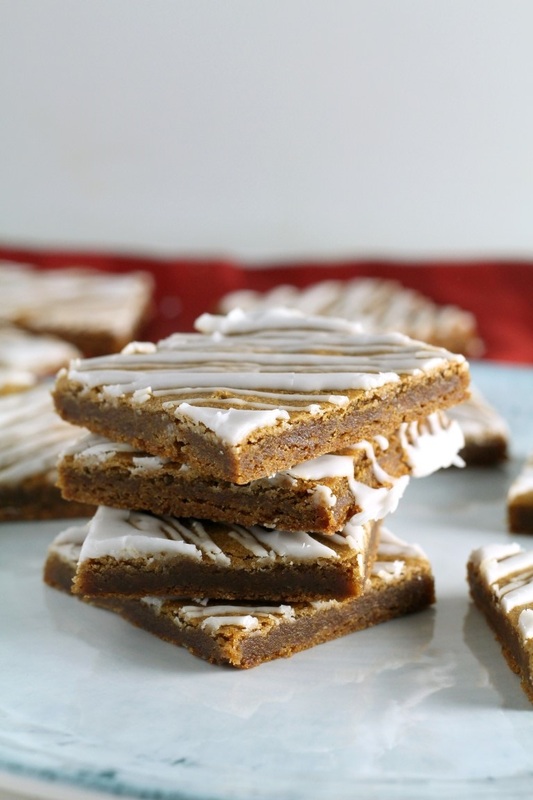 Thick and soft-baked Molasses Crinkle Cookies full of gingery, molasses flavor. Today is the day for the Great Food Blogger Cookie Swap. Food bloggers around the world are flooding the internet today with cookie recipes. 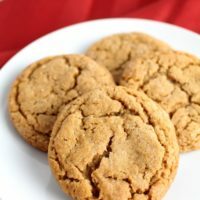 Earlier in the month we were each matched with three other bloggers that we sent a dozen of our cookies to and today we get to share our recipes! I had so much fun participating this year! Not only was it fun to receive other’s cookies, but also to connect with other blogger. It turns out that Laura, from Main Line Feast who I sent cookies to, actually works in the same office park as I do. Isn’t that crazy!?!?! For the cookie swap, I made Molasses Crinkle Cookies. They’re a classic in my family and we made many, many batches over the years. I’m going to admit, I don’t specifically like crispy cookies. I love the flavors of gingersnaps, but the crunch is not my favorite. These Molasses Crinkle Cookies have all the same molasses, gingery flavor while still being thick, soft and chewy. Soft baked Molasses Crinkle Cookies. 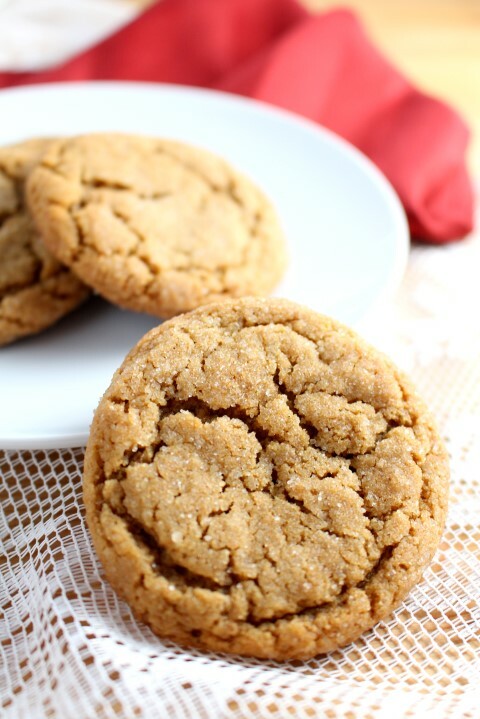 The classic flavors in a thick, chewy cookie! Cream butter and brown sugar until fluffy. Beat in egg. Stir in molasses and dry milk. In a separate bowl, combine the baking soda, salt, cinnamon, cloves, ginger, flour and wheat germ. Add the dry ingredients to the wet and stir until combined. Roll the dough into 1 inch balls and roll them in granulated sugar. Chill them in the refrigerator for 2 hours. Preheat oven to 375 F. Place the chilled dough balls on a greased cookie sheet. Bake for 11-12 minutes or until slightly brown around the edges. Do not over bake. I love this cookie swap so much! I only wish I found out about it sooner. 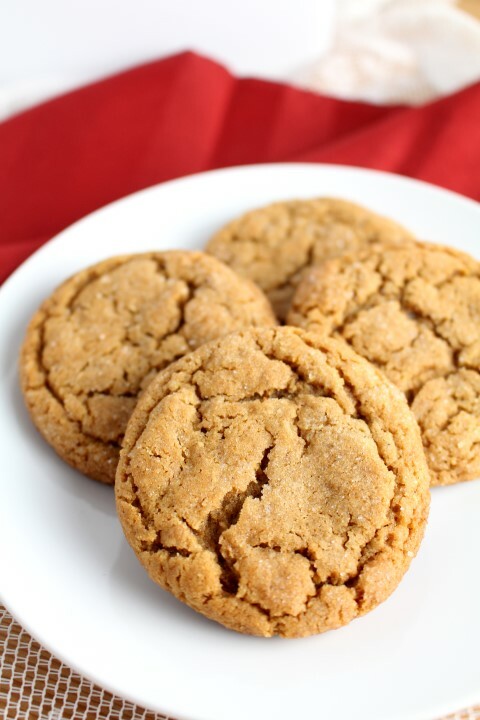 Molasses cookies are one of my favorite cookies of all time! Also, I love that this is a classic family recipe. I can’t wait to your recipe! Thank you Mallory! These cookies were delicious! I loved how soft and chewy they were – and the flavor was amazing! So glad I was the one who got to try them! Thanks, Kristi! I’m glad you loved them. I think that these are my favorite holiday cookie! These are my favorite holiday cookies. Your version looks so softy and chewy. Just wonderful, Mallory! 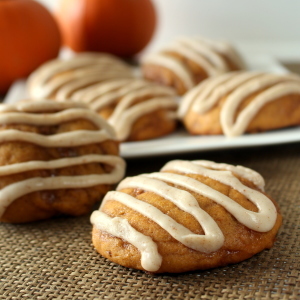 I am not sure if I have ever had a molasses cookie before but now these make me want to try them! 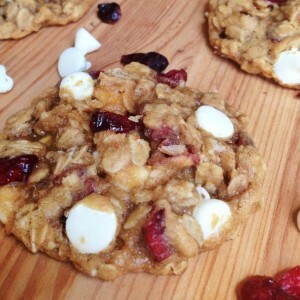 I made something very similar for the FB Cookie Swap – such a great flavor and cookie this time of year! These cookies look amazing! I love that you used molasses! These look perfectly thick and chewy! One of my favorite cookies! 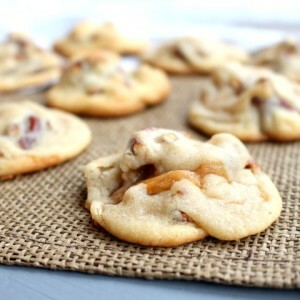 These cookies are totally irresistible for the holidays! Thanks for linking up with What’s Cookin’ Wednesday! I don’t have wheat germ. Do you suppose I could just leave it out or would I need to add more flour or something? I really love the texture the wheat germ gives. But in a pinch I have used an extra 1/4 cup of flour as a replacement and hey have turned out well. Can I use a fourth cup of very finely ground oatmeal in substitution for wheat germ? I’ve never tried it, but I’m guessing it would probably work.